Having lived abroad for over a decade I've developed a thick skin. I haven't had to deal with too many annoying remarks due to my looks. I'm short, tend to blend in with the locals as long as I wear sunglasses and am rather slim. However, there are still people who persist in asking annoying questions, saying rude things, or simply things that are totally culturally inappropriate for English speakers to have to hear. Locals and foreigners alike may ask you these questions. People who know you well like your boss and co-workers or friends might ask you these questions. Even people you barely know like taxi drivers or random people may feel compelled to voice their opinions. You might even get these questions when interviewing. 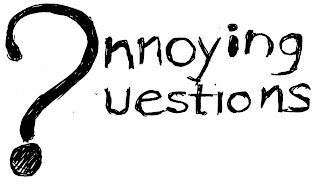 Here are some rude questions or remarks. They may be culturally ok in the country where you are living, but English speakers don't want to talk about these things. Why don't you stop eating so much? Do you think I'm pretty / handsome? How much were your shoes / shirt / etc? Do you have / why don't you have a boyfriend / girlfriend? Are you / why aren't you married? Do you have / why don't you have kids? When are you going to have (more) kids? Why did you answer my phone call / return my email? You might also have people ask you very uncomfortable questions. What do you think about Tibet / Taiwan / etc? What do you think of your / our president? Can you get me a visa to the UK / US / Canada? Here are 10 ways to deal with these questions and remarks. Be direct. Saying something like "Are you trying to be rude / hurt me?" or "I feel insulted" or "Why are you attacking me?" can often work. You can also try scolding them and saying, "That's a very rude question / remark to say to Americans / Canadians, etc. or saying "Show a bit of decency" while narrowing your eyes. This often embarrasses them and causes them to apologise. Use humour. Try cracking a joke or making fun of yourself. Some people try to get a rise out of you and if it doesn't work they move on. Don't answer. Tell them that your contract won't let you reveal your salary because you signed a confidentiality agreement. You could say that you would rather not answer, or that it's a personal matter, or that you don't like to talk about it. Be non-committal: You don't have to be specific. If they want to know how much you make you can say that you make enough or that everyone always wants to make more than they do. Turn the question back to them. This works really well. If you shrug your shoulders and just give a non-committal hmm and then ask them the same question you're putting them on the spot just like they did with you. Ask them why they want to know. If they ask how much your shoes were you could say, "Why do you ask?" You could also say, "Is it important?" Admit defeat. If they're calling you fat or scolding you for getting married simply say they're right. Don't argue with them. Embarrass them. While not ethical, sometimes you might get so sick of a hearing the same question over and over that you'll do anything to make people stop asking. If they ask why you're not married, say you're gay or that your spouse died. They want to know why you don't have kids? Say that you're impotent. Plead incomprehension. This works really well. Tilt your head and look confused and say, "Sorry, I don't understand." Keep it up for a bit and they should drop the question. Pass the buck. I can't even begin to count how many times I've been asked how someone can better their English or where they should study in the US. I used to answer, but it seemed no answer was good enough. Now I tell them to ask their teacher, counselor, or look online. 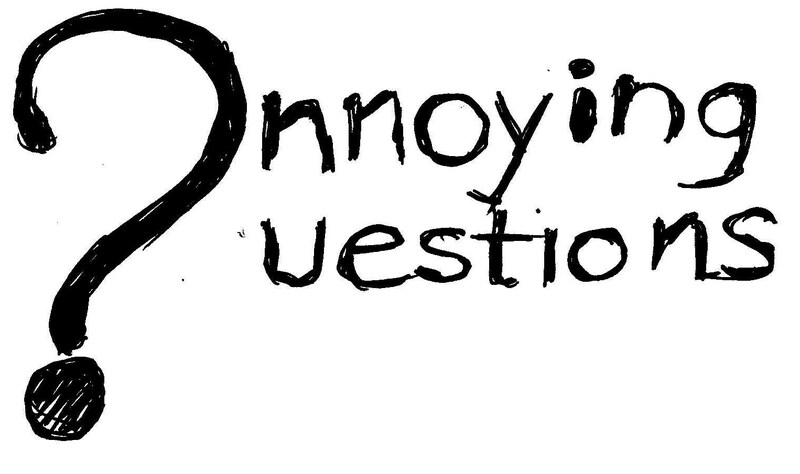 You might also enjoy Will Wiggle's post about answering inappropriate questions. Hi there, really like numbers 4,5,6 and 7. The thing I always have a "problem" with is the fact that I don't have children, I can see they look devastated for me ! I more or less gave up trying to tell them it was my choice, since then it gets worse, they think you are some kind of monster.